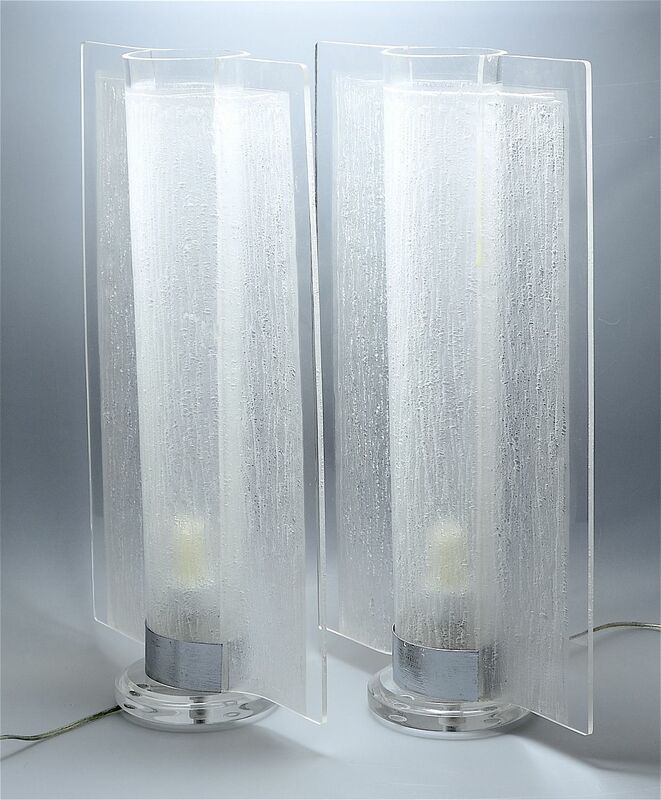 These fabulously dramatic lamps are made of lucite and chrome and were probably made in America in the 1940s-50s. 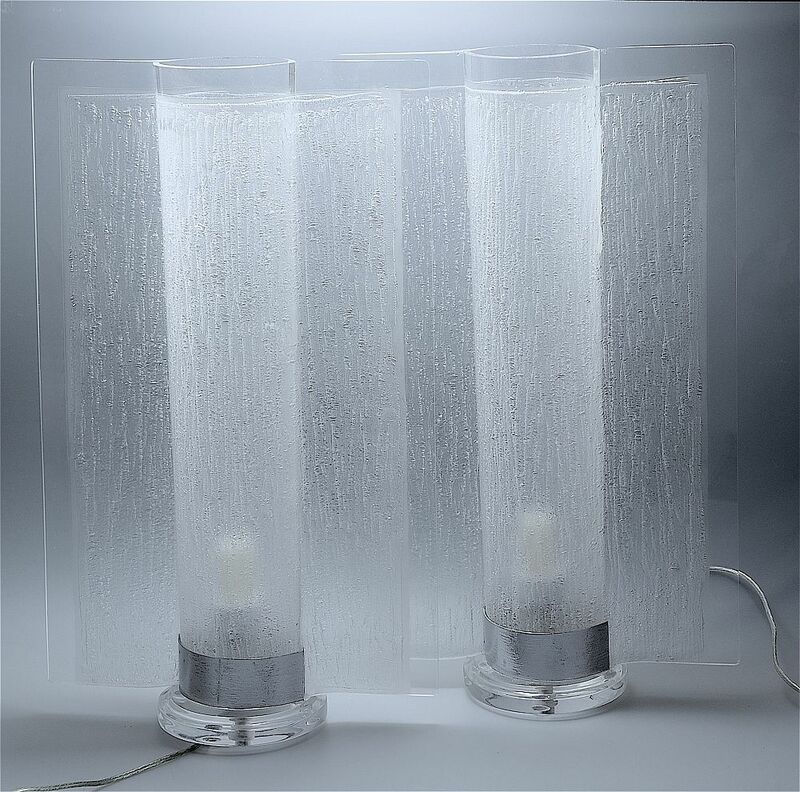 I think that the easiest way to describe the lamps is to say that they are made of textured lucite cylinders with "fins"! At the base of each cylinder is a chrome band and the cylinder sits on a round clear lucite base with lucite bun feet.